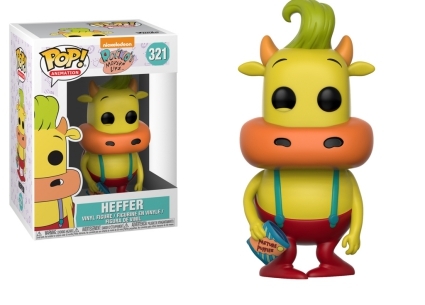 That's not vermin in your room, Heff, it's the Funko Pop Rocko’s Modern Life vinyl release! A '90s Nickelodeon cartoon, Rocko's Modern Life documents Rocko, an Australian wallaby, and his dog, Spunky, as they transition to life in the States. 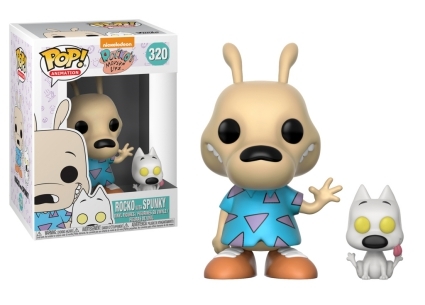 Funko Pop Rocko's Modern Life offers both Rocko—sporting a blue shirt with purple triangles—and his Bull Terrier in the same box. 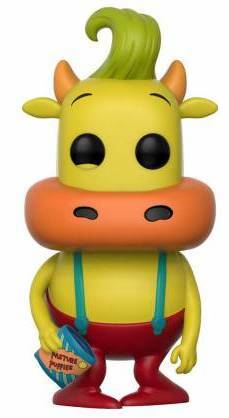 Rocko's friend Heffer, a yellow bull with a green cowlick, wears red pants with teal suspenders. Order Pop Rocko's Modern Life Figures on Entertainment Earth. 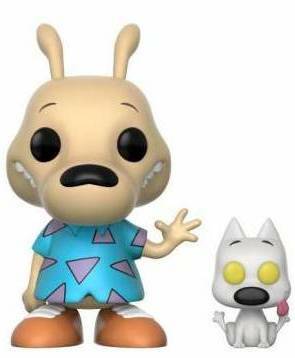 In addition to the base options, Funko Pop Rocko's Modern Life includes chase figures that average 1:6 boxes. 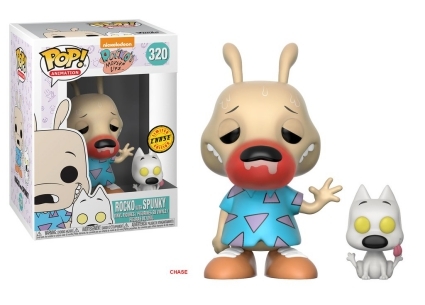 Fans can hunt for Rocko and Spunky's variant that shows the O-Town resident feverish with a red nose and sweat (seemingly) dripping down his head. 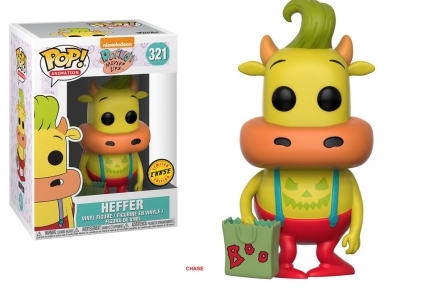 Ready for Halloween, Heffer has a jack-o-lantern face painted on his belly and holds a "Boo" trick-or-treat bag. See other Pop Nickelodeon sets with our related Funko guides.